On April 24th, the Heinrich Böll Stiftung along with IKV Pax Christi presented its new policy paper on ‘What can the EU do in Syria’ in front of a lucky audience of not more than 60 people. This was not one of the common conferences in Brussels. There were no bored faces, no yawning, no lengthy introductions, not the usual repetitive final words from the panel. While there was a common agreement on the difficulty to reach a political solution due to the complexity of the actors involved, different suggestions as to what the EU should offer to Syria came up. A significant point which was not included in the policy paper but was raised by the majority of the speakers was the need for capacity building, considered as a prerequisite for a better coordination and organization of the people against the Assad regime. It was suggested that this could be achieved by reconstructing the damages, providing opportunities to create new elite, restoring basic services, reinforcing local initiatives, or assisting in the resettlement of the refugees. Two major issues prevailed in the discussion: the arms embargo and the humanitarian aid. With regard to the arms embargo, the panel acknowledged that arming the Free Syrian Army would entail not only the danger of arms falling into the hands of the wrong recipients, but also the risk of an internal conflict arising after Assad is gone. Nevertheless, one of the panelists informed the audience about the clear request for arming that was expressed to her when visiting a refugee camp close to the Jordan borders. With respect to humanitarian assistance, there has been growing concern about the fact that only a small percentage of the money dedicated to helping the Syrian people is actually transferred through the right channels. According to one of the speakers, there are only two ways of providing effectively humanitarian assistance: either in liberated areas, or through the borders with neighboring countries. In a conflict where the channeling of humanitarian aid is politicized, it would be absurd not to refer to the implications that external actors have in the development of the events. 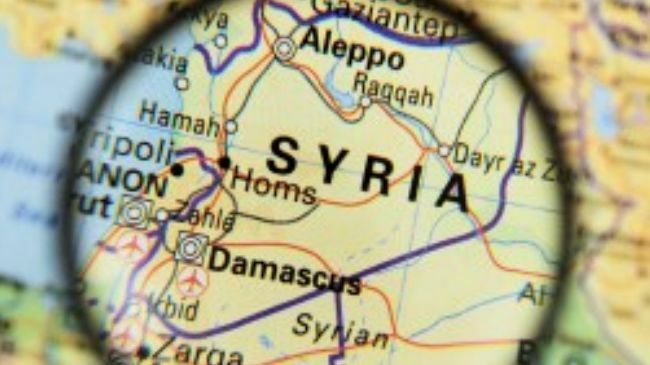 With the US and Russia demonstrating instances of rapprochement in their relationship, would it be too early to talk about a possible change in the position of the respective countries for Syria? The arms embargo will be officially ended in June and Russia is still insisting on the idea that the rebellions are nothing more than Al Qaeda combatants. If the cooperation between the US and Russia in the field of terrorism is further expanded, could this be considered as a ‘game changer’? Possibly not; Moscow’s once strong ally in the Middle East is still standing and, as stated during the conference, there needs to be a credible alternative to the Assad regime in order for any kind of support to be successful. Until now, the political opposition is still struggling to find its place and needs to be supported, not necessarily in military ways. Perhaps the answer to the conference’s question is exactly there. Interesting article – thanks. And the new blog layout is awesome. This entry was posted on 24/04/2013 by ISIS Europe in Conferences, Elena Marda and tagged arms embargo, EU Foreign Policy, European Neighborhood, human rights, Humanitarian Aid, R2P, Russia, Syria.